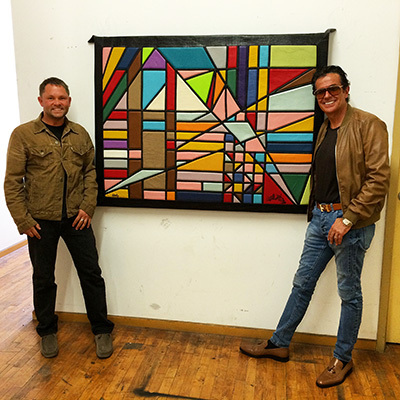 The Italian lamb skin leather collaboration with Jeff Hamilton is complete! A full view of the 5′ x 4′ Italian lamb skin leather collaboration with Jeff Hamilton @jeffhamiltonjackets in his DTLA Studio. Hand cut, “corners to be trimmed”, sewn and appliqued by @jeffhamiltonleatherart . 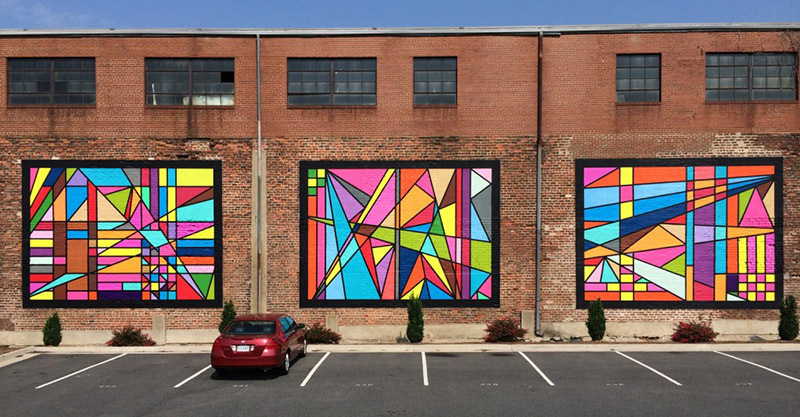 Taken from the left section of the “Warehouse Triptych Mural Project” in Farmville, Virginia completed in 2014 which is below and can be viewed in “Murals”. Edition 1/1 which can be viewed in the “Gallery 2015” *Contact Artist for pricing.